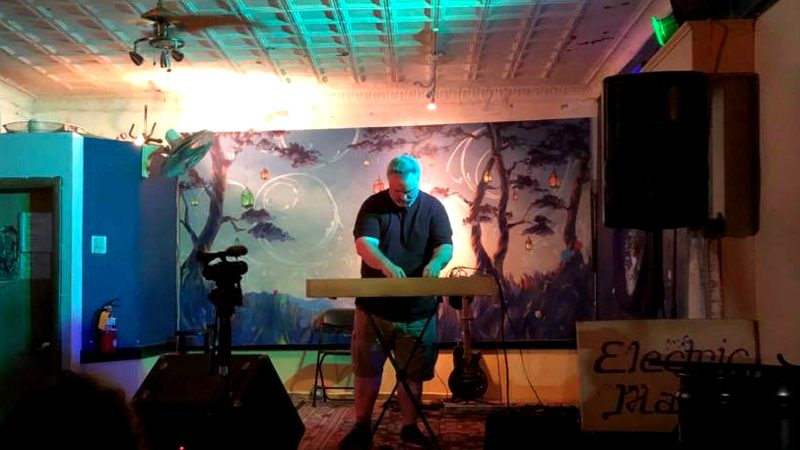 Showed up with my increasingly stable rig (details below) for another run with the Baltimore SDIY Group‘s concerts at the Electric Maid Community Exchange in the Takoma neighborhood of DC (and MD). 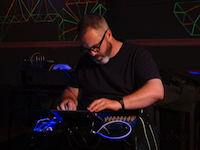 It’s always a bit of a mystery of what I’ll come up with in these experimental improvisational episodes, and I followed a nice melodic, relaxed modular set from Hovercraft, so I felt like I could delve into slightly glitchier, pulsing, wavelike territory as a counterpoint. I think it came out quite well.